Consider taking a Lifelong Learning course this spring. Courses are taught seminar style by Swarthmore faculty, but without grades or credit—just learning for learning’s sake. Spring 2009 courses begin in February and run for eight weeks. Tuition is $430 for courses taught at Swarthmore and $560 for those taught in New York City. 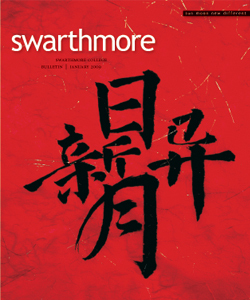 Visit swarthmore.edu/lifelonglearning.xml for more information.